I Swoon for Prince Charming! Today, a week after the postal strike ended, I received my Swoon scrap bag and AUTOGRAPHED copy of the June/July Quilter’s Home magazine from Scott Hansen at Blue Nickel Studios! (Click on photo for a close-up.) The scraps are fat and juicy, I could easily make two pillows with them and have fabric left over, thanks Scott! I also received my first Tula Pink Prince Charming fabrics, my favorite are the indigo tones, very rich and deep. I’m unsure about the aqua on it’s own but then perhaps it’s not supposed to stand out as much as the indigo. 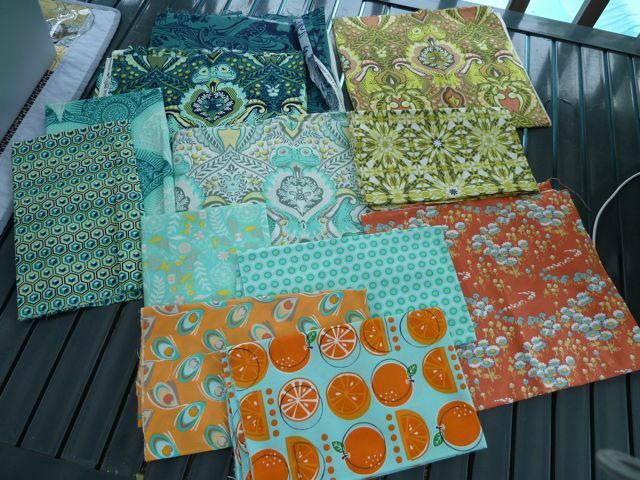 I really wish I could see these fabrics in person before purchasing but the shops here in Canada don’t carry much. Even if they do carry designer fabrics, they won’t carry the whole line and all colorways. It’s also far less expensive to purchase from American online stores than in person OR online in Canada, even with shipping. 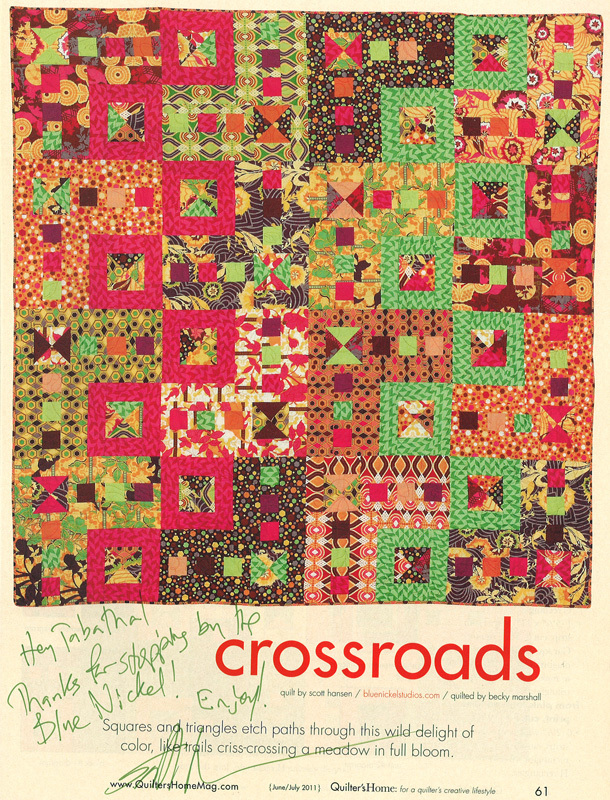 These scraps from Scott are super special because they’re remnants from the quilt he made for Quilter’s Home magazine. I’ve looked at a few online shops for more but am unable to find any so far and I REALLY love them!! If you know where to purchase more Swoon, please let me know!! 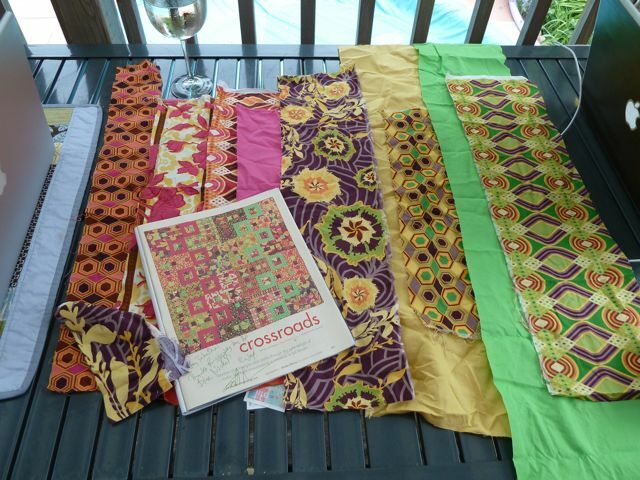 This entry was posted in Fabric, Giveaway, Inspiration by Tabatha. Bookmark the permalink.